Even those who have never played as stroke of golf probably understand that Tiger Woods' historic Masters' win on Sunday was a big moment – not just for a professional athlete who triumphed over a decade of scandal and adversity, but for America, a country that was built on the kind of grit and dedication displayed by Woods while capturing his fifth Masters' title, his first in more than a decade. At 43, he became the second-oldest person to win the tournament after Jack Nicklaus, who won the tournament in 1986 at age 46. Unfortunately, some couldn't share in the excitement. 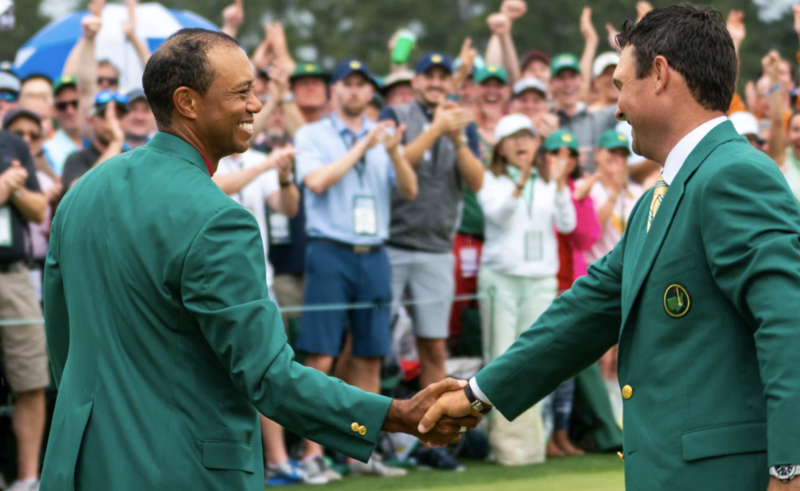 While Tiger's victory was a huge moment for fans, for sportsbooks in New Jersey and Nevada, the losses generated by Woods' come-from-behind win amounted to seven figures. Sports super-book FanDuel Group said it lost $2 million on the victory. Another book, the Westgate Las Vegas SuperBook, lost nearly $100,000, its worst-ever showing for the Masters. A trader at William Hill US said the company's book lost "seven figures," according to Bloomberg. "It’s great to see Tiger back," said Nick Bogdanovich, director of trading at William Hill U.S. "It’s a painful day for William Hill – our biggest golf loss ever – but a great day for golf." However, Sunday's losses won't even begin to counterbalance the profits amassed during Woods's decade in the doghouse, where he remained a favorite of the betting public despite repeatedly disappointing on the course. It wasn't uncommon for Woods to be the betting favorite, despite the long odds. "We are still doing well overall with wagers involving Tiger," Jeff Sherman, vice president of risk at Westgate SuperBook, said in an email. That dynamic played out again on Sunday, when 21% of bets on FanDuel's platform were for Woods to win it all, a total that led to a net loss of $1 million. On top of that, the company ran a promotion where it promised to refund all bets if Woods won the tournament. That cost it another $1 million. At William Hill, a Nevada resident placed a $85,000 bet on Woods to win it all paid out $1.2 million on 14-to-1 odds, the largest single-ticket payout in the casino's history, according to CBS News. The bet was so large that William Hill's staff had to reach out to the bettor to verify the ticket, and that the bettor wasn't off by a digit or two. The wager was so large that it single-handedly pushed Woods to 10-to-1 odds at William Hill. Not all sports books reported losses on Tiger's win, with at least one telling BBG that it broke even. Not all sports books took a loss. MGM Resorts Internationalbroke even on the event, according to Jay Rood, its vice president of race and sports. MGM had its biggest handle ever for a golf tournament. "We were a small loser to Tiger before the start but were able to fade it over the course of the tournament," Rood said. Tiger's win forced sports betting organizations to reevaluate odds related to his career. FanDuel is now giving him 5-to-1 odds of tying Jack Nicklaus's record of 18 major tournament wins. This entry was posted on Monday, April 15th, 2019 at 7:13 am and is filed under Immediately available to public. You can leave a response, or trackback from your own site.